Getting into your next car is an exciting experience when you choose the right car dealers in Waukesha, WI. When shopping, you’ll want experts with countless tools and resources at their disposal to assist you throughout the process. It can seem like a never-ending and time-consuming experience when going through all of your options by yourself. However, you don’t need to be alone when looking for Chevy trucks for sale at a good price. Our Ewald Chevy dealer in Waukesha understands that people want a hassle-free shopping experience when looking for their next car. This is why we work to provide you with assistance with the utmost sincerity and convenience. 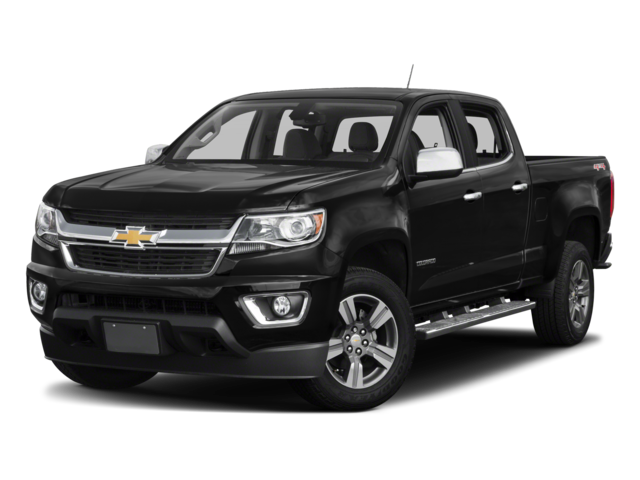 You will even be able to get pre-approved on our website for a used Chevy Colorado as well as numerous other pickup trucks for sale on our lot. All it takes is filling out an easy form on our website, and you can be a step ahead before you even meet with our Waukesha car dealers. You will also be able to get a solid idea of your monthly payments with our online auto loan/payment calculator. This can help determine what is financially within your reach so that you can come to our car dealers in Waukesha, WI armed with knowledge. Not only do we give you convenience and a great selection of new and used Chevy trucks for sale, but also our guarantee to simplify your experience as much as our car dealers in Waukesha, WI can. With over 300 vehicles on our lot from a wide variety of new and used vehicles from all makes and models, you can be certain to find the vehicle that calls to you at an exceptional price. Nearly all of our used vehicles are live-market priced in order to be certain we are giving you a great and competitive price. We compare our vehicles with numerous others and update their prices every hour according to how they are priced at dealerships across the nation. This means you will not only be getting a competitive local price but also a competitive nationwide price. With the car buying experience also comes the potential of uncertainty. You may feel lost when it comes to deciding on your next car, and unaware of which vehicle will best fit your needs. Whether you’re not sure whether sensible Buick sedans or rugged Chevy trucks for sale are the right options for you, our experts can help you decide. While our sales associate will assist you in figuring out the best car for your lifestyle, our experts at our finance center will help you decide what the best options are financially. With our sales and finance associates working hard for you, you can feel certain that you’ll have a dream team to guide you every step of the way. Chevrolet has long been a reliable source for pickup trucks whether on the job site or trekking through rough terrain. Whether you are looking for a new or used Chevy Colorado or a heavy-duty Silverado 3500 HD, you can feel assured that Chevrolet’s long-standing reputation as a great manufacturer will provide you with a great truck. You can be sure to find Chevy trucks for sale that will conquer nearly any task or terrain you may encounter in your travels. Our car dealers in Waukesha, WI have been serving the community for many years now. We have been one of the most trusted people in automotive for decades. You may even be eligible for rebates, low APR, as well as many other incentives and seasonal offers. We want to provide you with a great service that will save you time and money, and we take your satisfaction seriously. As your future car dealers in Waukesha, WI, we stay open six days a week. We do this because we understand how hectic our client’s weekdays can be, because between family and work it can feel unending. In addition to saving you more time, we even have a fully-staffed service center that remains open six days a week. This makes us a great choice for repair and maintenance as well as shopping and even offers quick online scheduling. You can also be sure to find coupons for services on our website so that you can take full advantage of our trained and certified technicians. We’ve served this community for decades. In the process we have formed bonds with numerous grateful customers who were completely satisfied with our dealership and services. If you’d like to be another one of our fulfilled clients, then get in touch with us through our convenient online messaging app on our homepage. Additionally, you can call us at 262-226-2842 or stop by our location at 36833 E. Wisconsin Ave., Oconomowoc, WI 53066 to find great Chevy trucks for sale!